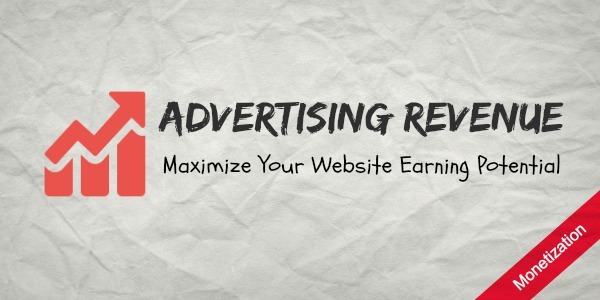 Let’s be honest, Generating revenue from Advertising is the toughest of all forms of Revenue models for a Website. I am saying this because I myself struggle with it. My Adsense revenue can never match the revenue I generate from Affiliates. Many bloggers have already written off Advertising in favor of other revenue models like Affiliate, Sponsored Posts, and Creating own products. But there are niches where all the other revenue models do not make sense and the best option is to get going with Advertising. In fact, the majority of websites on the internet are supported by Advertising. 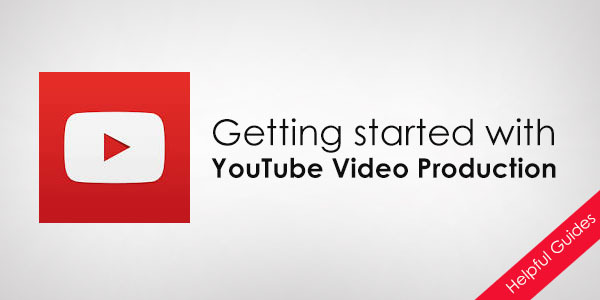 I am listing few ways (other than the ones you know) you can try to get maximum advertising revenue. The list also includes the programs I’ve personally tried, some of them were great, some didn’t work at all. So, I thought of putting all them together to make you aware that they are here, it’s up to you whether you want to use it or now. 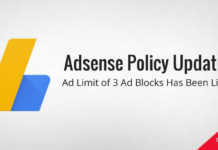 Google Adsense proved to be the best one out there, but it has a limitation of displaying only three Ad units on a page, you can do 6 if you are you want to show text links ads. 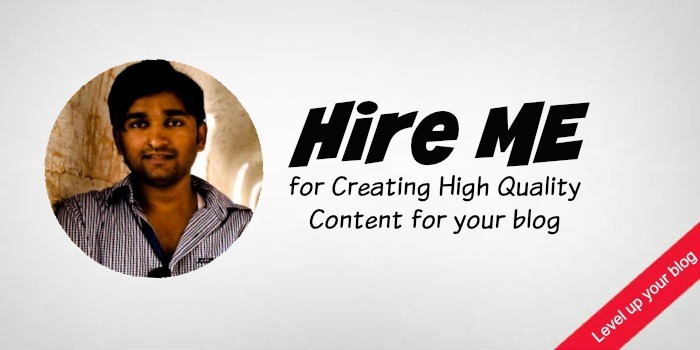 They are not as good as the Rich Media/Banner Ads but you can maximize the revenue for sure. They usually have a low CPC (Cost Per Click) which will make you less money, but it will anyway add up to your gross revenue if your site gets a ton of traffic. I have actually used them on a blog in Auto Insurance niche and have gotten over $3 of CPC on them. So they are not bad at all. It varies in different Niches, though. 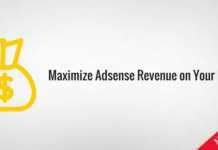 If you go beyond Google Adsense, you can opt for other Ad networks like Media.net, Tribal Fusion which are CPM based advertising. Meaning, you need a lot of traffic to make a decent revenue from it. 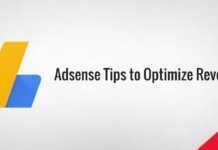 If you optimize it well, you can expect earnings of around 10% of what you will make from Adsense. It might come as even lesser than 10% in some cases, but again, as I said, if you have a lot of traffic, you won’t mind earning $100 from your 4th or 5th Ad block on your Page. There are plenty of reasons for such a low rate, like People using Ad blocks, users being Ad blind etc (completely ignoring the usual ad spots). Imagine yourself browsing websites, there are ads but have you ever noticed them let alone clicked them? I hope you know the answer. Tip: Google Adsense does not allow publishers to put ads in Fixed Sidebar while Media.net does. You should utilize it if you can. Use Fix Widget Plugin to Make Sidebar widgets fixed. Put 300×250 Media.net Ad block to it. Infolink is an ad network which has this unique advertising option In-Text links, you put a code into your site and some keywords from your content become clickable, when a user clicks on them or views them, you generate revenue. The revenue for views is not high but at least, people are not blind to links on your site. 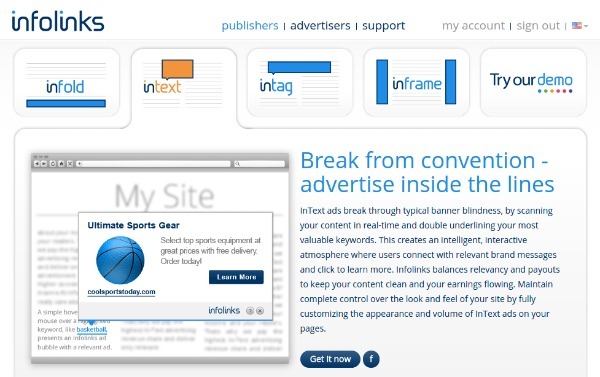 And then there are more ad types you can integrate into your site, like the Inframe ad. The Inframe ads appear on both the site of your blog page. The In Search maximizes revenue from Search traffic. It shows inbound tags you can display below every post so. 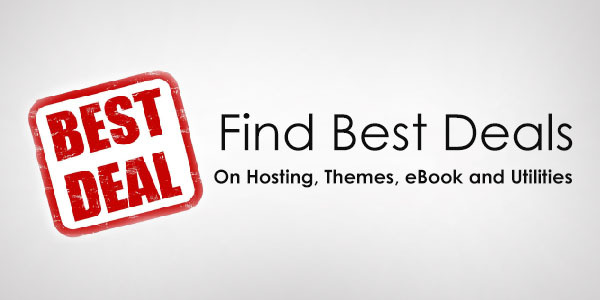 You might want to read our review of Infolinks. ➤ Sign up for Infolinks. In plain English, Native Advertising is a type of ad that blends with the natural content of your site so well that it doesn’t look like an ad. So, it is effective on even those sites where the people have become blind to ads (as discussed above). Few of the Native Ads I’ve tried and planning to try once my blog starts getting few thousand users a day. 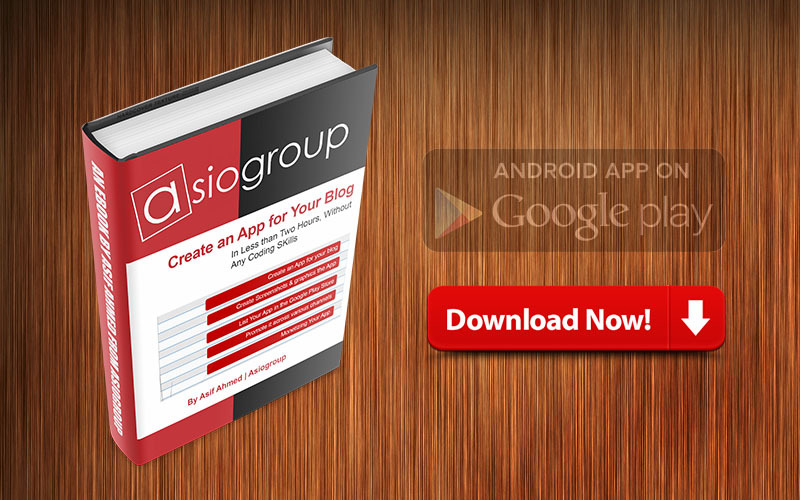 I’ve mentioned shareholic in my other post here on Asigoroup. 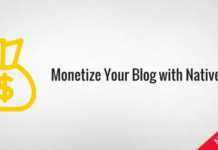 Its one of the plugins for showing related post on your blog and has an option to monetize that section by putting links of advertisers. You have few options to select, such as the frequency of ads in the related posts section and an option to turn it off. I’ve turned it off for now as my blog is not getting too many visitors but its something I’ll try in future. 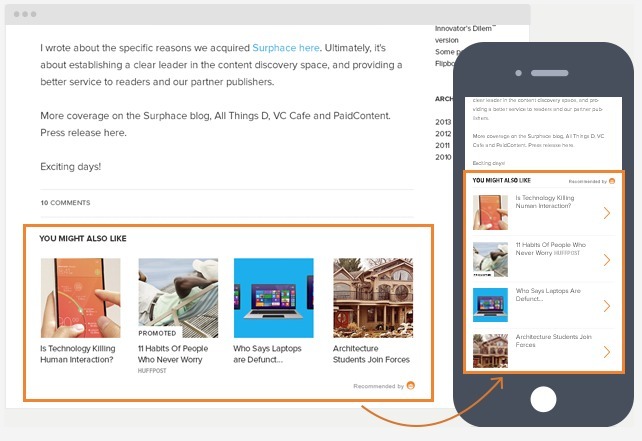 Similar to Shareholic, Outbrain is also a service that shows related posts on your blog. You can place them anywhere, below the post or in the sidebar, and then you can turn on the Monetization which will show ads just like Shareaholic does. Toboola is again a similar service but it has a certain requirement from publishers before welcoming them in their system, you need to have a certain number of pageviews to get on it. I have seen Taboola being used on many big publication sites which is a proof it is a service worth considering. 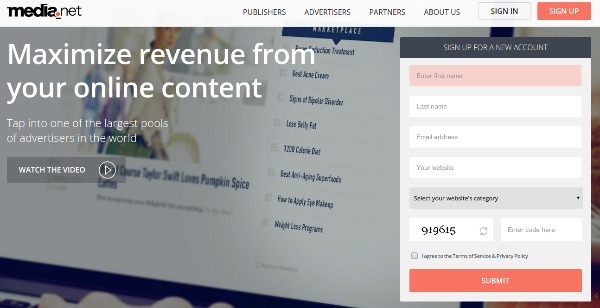 Skimlinks does not actually makes you any advertising revenue, but the ease of use and an opportunity to use them on your blog to earn extra money makes it to this list. Skimlinks is a service that works with a list of brands to promote their products, giving publishers an ability to earn each time a user purchases something from their links. 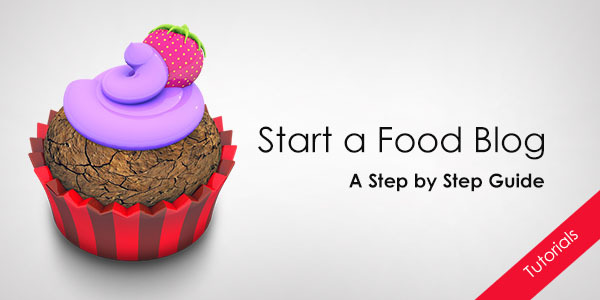 It’s cool because you can promote products from different brands, and get your commissions collected to a single place. In simple English, you might not be interested in tracking $6, $8, $3, $13 revenue from commissions at different places, but $30 at one place is less brain work. Skimlinks charges a certain percentage for their service but it’s worth it. 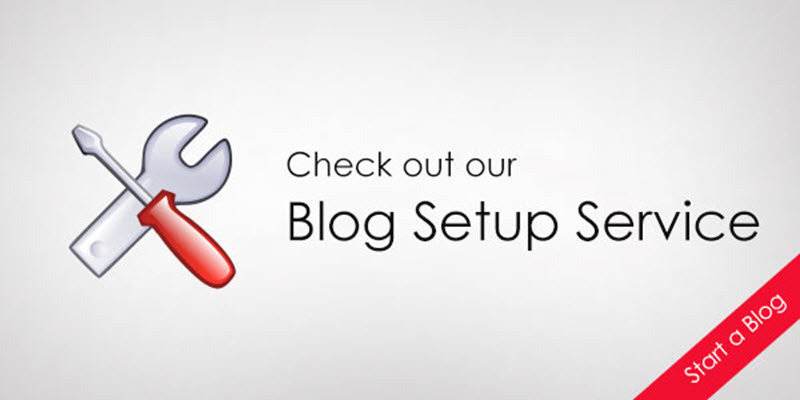 Plus you get tools to choose high commission paying products and link to them on your site easily. 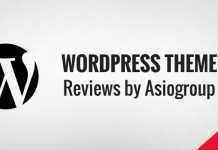 Next articleInfolinks Review – Is it worth your time?